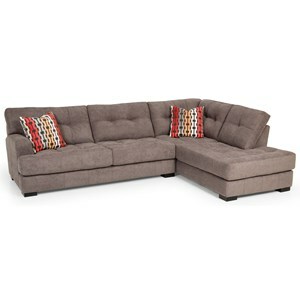 It's easy to envision your dream hangout space with this cozy, laid-back sofa as the centerpiece. 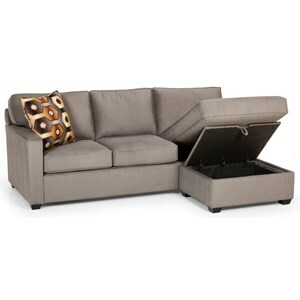 The sectional sofa offers extra space to lounge and sprawl out with a wide seat and oversized chaise lounge. 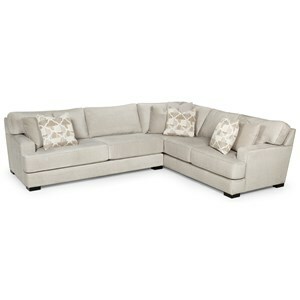 Biscuit tufting on the seat and back create a comfy yet classic look. The perfect place to nap or cuddle. 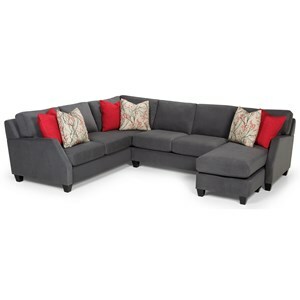 The 308 Casual Two Piece Sectional Sofa by Sunset Home at Sadler's Home Furnishings in the Anchorage, Fairbanks, Sterling, Alaska area. Product availability may vary. Contact us for the most current availability on this product. 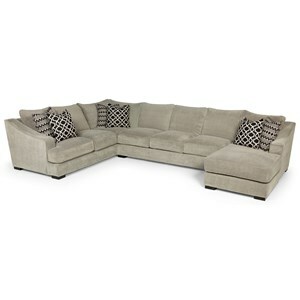 308-38R RAF Oversized Chaise 1 42" 87" 36"
308-11L LAF Sofa 1 81" 42" 36"
Built locally and built to last, these sofas are the pride of the Pacific Northwest. This collection of sofas brings you reliable comfort and durable structure with a craftsman-quality, kiln-dried lumber frame. 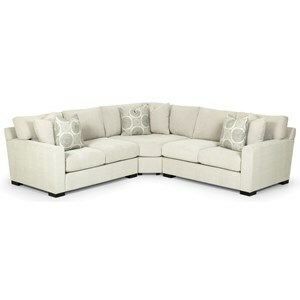 To complete your living room or entertainment space, finish the set with a matching loveseat, chair and 1/2, or ottoman. 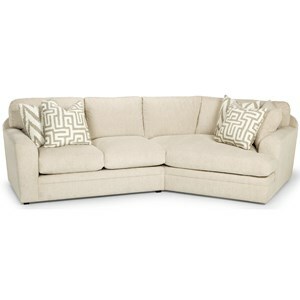 Fun style, plush comfort, and great value—this sofa is the full package. The 308 collection is a great option if you are looking for Casual furniture in the Anchorage, Fairbanks, Sterling, Alaska area. 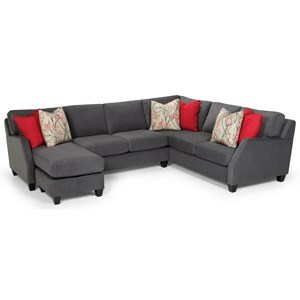 Browse other items in the 308 collection from Sadler's Home Furnishings in the Anchorage, Fairbanks, Sterling, Alaska area.